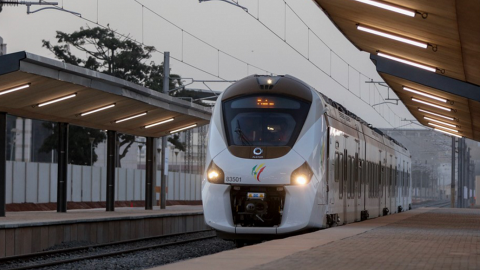 Senegal has launched a railway connection between the capital of Dakar and Diamniadio. It is the country’s first train express service. By the year’s end, the route will be extended to the Blaise Diagne International Airport, the largest one in Senegal. Thus, the express service will become the Senegalese first airport rail link. The total project costs 400 million Euros. 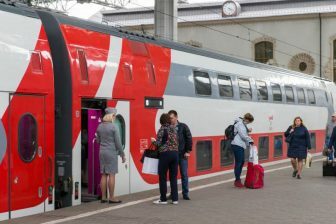 The new service was named the Train Express Régional (Regional Express Train). It is better known as the TER Dakar-AIBD (Blaise Diagne International Airport) or simply TER. The completed 36-kilometre section of the TER line was opened on 14 January. It was constructed instead of the country’s oldest railway line opened in 1924 and abandoned since 2009. The final section will be constructed from scratch. The express trains will cover the entire line in 2020 with a maximum speed of 160 kilometres per hour. They will stop at 14 stations and will ride the 55-kilometre route in 45 minutes. The estimated daily ridership is 115,000 passengers. 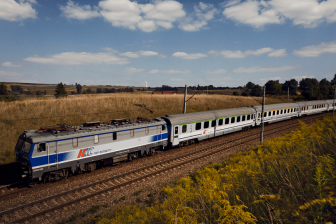 The TER Dakar-AIBD line will be served by 15 Coradia Polyvalent trains produced by French manufacturer Alstom. Each four-car trainset has a length of 72 metres and is capable to carry 400 passengers. 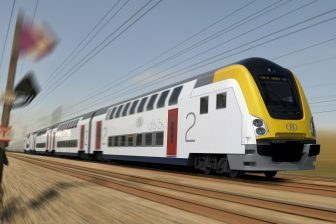 The Coradia Polyvalent units are the dual-mode vehicles dedicated to the unelectrified and 25-kilovolt railway lines. The trains were delivered to Senegal in November-December 2018.